For the prevention and lasting control of flea infestation. Program Suspension 133mg is effective against the dominant flea species Ctenocephalides felis and C. canis. Program suspension can be administered to all cats including pregnant cats and kittens taking solid food. 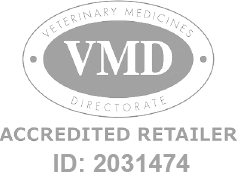 Program Cat Oral Suspension - 133mg is a Prescription Only Veterinary Medicine and by law requires a prescription from your vet.